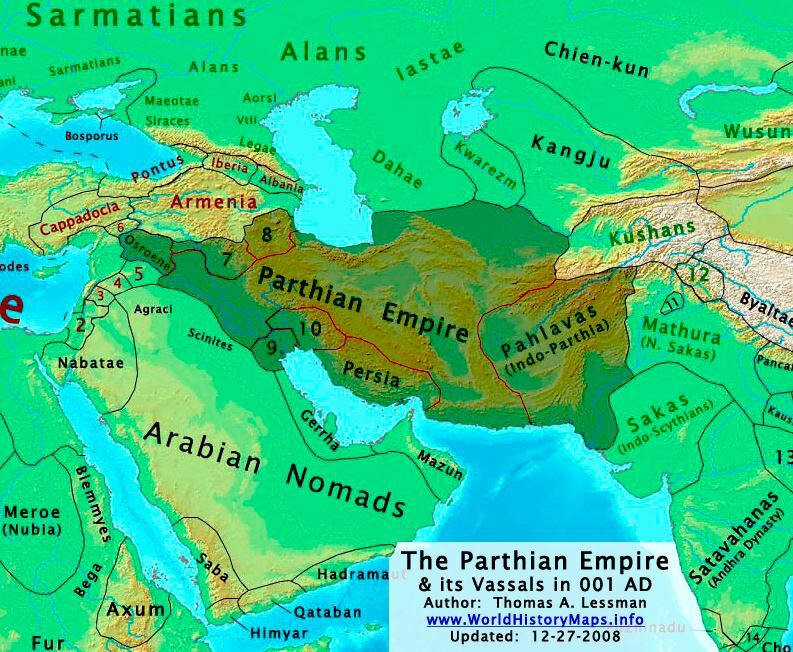 The Partian Empire was a major Iranian political and cultural power in ancient Iran and Iraq. It was founded in the mid 3rd Century BC when Arsaces I conquered the region of Parthia in Iran. The earliest enemies of the Parthians were the Seleucids in the west and the Scythians in the east. However, as Parthia expanded westward, they came into conflict with the Kingdom of Armenia, and eventually the late Roman Republic. The Parthian Empire finally succumbed to internal revolt in 224 AD, and was supplanted by the Sassanid Empire.